Herminia B. Roman (née Zarate, born July 9, 1940) is a Filipino politician. She was a member of the House of Representatives of the Philippines under the Liberal Party, representing the 1st District of Bataan from 2007 to 2016. She was succeeded by her daughter, Geraldine Roman. When a person assumes the family name of his or her spouse, that name replaces the person's birth surname, which in the case of the wife is called the maiden name, whereas a married name is a family name or surname adopted by a person upon marriage. Roman’s legislative advocacy focus is on health, education, livelihood, women's rights and environmental concerns, making sure that all government programs and initiatives should center on sustainability and affordability, consistent with the State’s mandate of promoting the general welfare of the Filipino people. To advance her goals, she filed, co-authored and supported bills and resolutions which promote the rights and privileges of women, the elderly and the veterans across the country as well as environmental concerns. Locally, she pursued programs beneficial to her constituency, such as medical health assistance, scholarships, and livelihood projects. She founded the KABAKA (Kababaihan ng Bataan Tungo sa Kaunlaran) in December 1997, and Kinatawan Foundation Inc. in 1999. Both are women's organizations which emphasize self-reliance by the way of the "teach-the-man-how-to-fish" approach, giving her constituents the opportunity to rise above their present conditions. Always curious about possible livelihood opportunities, she organized and sponsored various seminars on flower arrangement, hair science and beauty culture, fish and meat processing, soap making, scented candle making, paper recycling, and perfume making. The recycling of paper is the process by which waste paper is turned into new paper products. It has a number of important benefits besides saving trees from being cut down. It is less energy and water intensive than paper made from wood pulp. It saves waste paper from occupying landfill and producing methane as it breaks down. Around two thirds of all paper products in the US are now recovered and recycled, although it does not all become new paper. After repeated processing the fibers become too short for the production of new paper. Her most recent project is the Moral Recovery Seminar, which aims to mobilize all Filipinos for nation-building through the practical exercise of human values in our daily lives as citizens and to awaken us all to the power of these values in achieving our individual and national goals. It seeks the empowerment of all our people- the poor, the middle class and the rich through the sustained application of human values and a code of collective existence. 1998 to 2004 - (Member) Congressional Spouses Foundation Inc.
1999 to Present - (President & CEO) Kinatawan Foundation Inc.
2004 to 2007 - (Director, Region III) Congressional Spouses Foundation Inc.
"Filipino World War II Pensions & Benefits Act of 2008" signed by H.E. President Gloria Macapagal-Arroyo on April 9, 2008 in celebration of "Araw ng Kagitingan"
It has grown into 35,000 women members with the objective of "Dagdag Kaalaman Para sa Dagdag Kita"
Herminia married Antonino Pascual Roman of Orani, Bataan, a former Representative of the 1st District of Bataan and the Presidential Legislative Liaison Office (PLLO) Secretary, until his death in 2014. They have four children: Renato Marcelino (a medical doctor), Geraldine - a member of the House of Representatives (as of 2016), Antonino III (a lawyer) and Regina (a freelance artist). She is a member of Couples for Christ and the Christian Family Movement. She is president and chief executive officer of Romanville Realty & Devt. Corp. from 1989 to present. Rep. Roman is also a collector of antiques. Antonino Pascual Roman, Jr. was a Filipino politician. A member of the House of Representatives of the Philippines, he represented the 1st District of Bataan from 1998 until 2007, when his wife, Herminia Roman, took over the seat. Roman was an assemblyman from 1978 to 1986. He was also a Finance Deputy Minister under Finance Minister Cesar Virata, and Presidential Legislative Liaison Office (PLLO) Secretary from 2010 to 2012 under President Benigno Aquino III. Geraldine Batista Roman is a Filipino journalist and politician. She was elected as the Representative of the 1st District of Bataan following the 2016 Philippine elections, becoming the first openly transgender woman elected to the Congress of the Philippines. Saint Lorenzo Ruiz is a Filipino saint venerated in the Roman Catholic Church. A Chinese-Filipino, he became his country's protomartyr after his execution in Japan by the Tokugawa Shogunate during its persecution of Japanese Christians in the 17th century. María Elisa Cristóbal-Rodrigo, known as Boots Anson-Roa, is a Filipino actress, columnist, editor, and lecturer. Colegio San Agustin – Biñan is a private, co-educational Catholic school owned and managed by the Augustinian Friars of the Province of Sto. Niño de Cebu in Southwoods Interchange Biñan City, Laguna, Philippines. Its primary and secondary education programs are accredited Level III by the Philippine Accrediting Association of Schools, Colleges and Universities.. And like its sister schools the students of CSA-Southwoods are called Augustinians. Socorro Alicia "Cory" Rastrollo Quirino is a Filipino television host, author and beauty pageant titleholder. She is currently the president and national director of Mutya ng Pilipinas. She is also a former licensee and national director of Miss World Philippines and Mister World Philippines. She is also a council member of one of the branch offices of the Philippine Red Cross. She is also the president of the Volunteers Against Crime and Corruption (VACC) from February 2018, replacing Dante Jimenez who was appointed as the head of the newly-formed Presidential Anti-Corruption Commission. Anna Dominique "Nikki" Marquez-Lim Coseteng is a Filipina politician who has served in the 8th Congress of the Philippines and the Senate of the Philippines. Karina Constantino David is a former chairperson of the Civil Service Commission of the Philippines. She also served as the chairperson of the Career Executive Service Board, a government entity supervising the top management personnel of the Philippine government. She presently sits as a member of the Government Service Insurance System (GSIS) Board of Trustees. Elections were held in the National Capital Region for seats in the House of Representatives of the Philippines on May 10, 2010. The Philippine five-peso note (₱5) was a denomination of Philippine currency. Philippine president Emilio Aguinaldo is featured on the front side of the note, while the Declaration of the Philippine Independence is featured on the reverse side. This banknote was circulated until the Bangko Sentral ng Pilipinas stopped printing this denomination in 1996 and was replaced by coins. Alice Doria-Gamilla became remarkable for her composition of "A Million Thanks to You" using her original piano arrangement in 1960. The song was later on recorded by "Asia's Queen of Songs", Pilita Corrales which hit the millionth mark in sales which was a first in the Philippine recording history. It eventually became the signature song of Pilita's longest-running musical show on television, An Evening with Pilita. It was later recorded by Bobbi Martin of the Jackie Gleason Show in the United States under Coral Records. The song was such a big hit, it was recorded in 7 different languages after. The Kababaihan Gabay ng Bayan - KAGABAY, means "women supporting the country" in Filipino. KAGABAY is a non-government, non-profit, social development organization. It was set up to address poverty reduction through the social, political and economic empowerment of women in urban poor and resettlement communities. With its motto: “Kababaihan Para Sa Kababaihan", KAGABAY aims to contribute to the achievement of the country’s Millennium Development Goals through the empowerment of women that will enable them to address the multi‐faceted dimensions of poverty within their communities. Ofelia Manibog Samar-Sy is a Filipino physician in Internal medicine and Cardiology, medical educator, researcher, businesswoman, and socio-civic leader, who is also deeply involved in humanitarian enterprises. Medical Director of Ibalong Medical Center in Legazpi City, Albay, in May 2014 she was additionally appointed Dean, College of Medicine of Bicol Christian College, also in Legazpi City. Her support of urban poor housing, education, family education, and good governance are revealed in her many medical-related and socio-civic activities. She has led various medical missions, relief distributions, feeding programs, and gift-giving activities as President of Ibalong Medical Center Foundation, as a volunteer, as president of Pinoy Power Bicol Coalition, Inc., and as President of Albay Medical Society. In addition to acting as a lecturer, speaker, moderator, and chairman, Samar-Sy also chairs many symposia, conventions, and scientific meetings. She is also a Fellow of the American College of Physicians (2013), as well as a life member of the Philippine Medical Association and the Philippine College of Physicians. 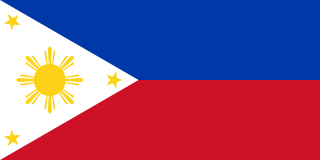 Elections were held in Central Luzon for seats in the House of Representatives of the Philippines on May 13, 2013. Guia Guanzon Gomez is a Filipino actress, businesswoman and politician. She is the current mayor of San Juan City, having won 75% of total votes during the 2010 elections. She is known for her relationship with former president Joseph Estrada, with whom she has a son, current Senator JV Ejercito. Leonardo "Ding" Banzon Roman is a former Governor of the Province of Bataan in the Philippines. He served the Province of Bataan as its Governor for seventeen years from 1986 to 2004, having won a total of five gubernatorial elections following his appointment as Officer-in-Charge of Bataan during the Presidency of Corazon Aquino. These are nominees of the parties participating in the Philippine House of Representatives party-list election, 2013. The parties are ordered by the appearance on the ballot. A voter can vote for only one party, and a party can only win up to three seats. The winning nominees are determined by the order of which they are listed by the party. The party may submit a list of up to ten nominees; only the first three nominees are listed here. Bellaflor "Bella" J. Angara-Castillo, simply known as Bella Angara, is a member of the Philippine House of Representatives representing the lone district of Aurora. She previously served three consecutive terms as governor of Aurora province from 2004 to 2013. She was the third female governor of Aurora province. Prior to being governor, she served three consecutive terms as representative of the lone district of Aurora from 1995 to 2004. She was the first and so far the only woman in the history of the Philippine Congress to become House majority floor leader. Elections were held in Central Luzon for seats in the House of Representatives of the Philippines on May 9, 2016. These are term limited and retiring members of the House of Representatives of the Philippines during the 16th Congress of the Philippines. Term limited members are prohibited from running in the 2016 elections; they may run for any other positions, or may wait until the 2016 elections. ↑ "House Members: Hon. Roman, Herminia B". House of Representatives of the Philippines . Retrieved 2016-05-10. "Member Information - 15th Congress: Herminia B. Roman". House of Representatives of the Philippines. Archived from the original on 2013-12-14. Retrieved 2016-05-10.